Bitter~Sweet ™: A night with my basal rates . . . .
A night with my basal rates . . . . When you’ve had diabetes for almost 32 years, there aren’t a lot of Diabetes Firsts left to encounter. But last night, I had one. When Pete told me he had a work dinner to attend, I knew it was the perfect time to eat an early supper and run my very first basal test. To say I researched exactly what to do would be an understatement. I re-read the basal testing chapter in Pumping Insulin and I photocopied the basal testing worksheet. 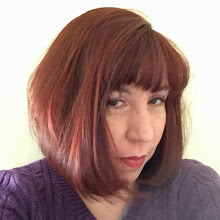 Coincidentally, Penny at A Sweet Grace wrote a post about basal testing yesterday that was full of great information and useful links to articles Gary Scheiner has written explaining basal testing. At 5:00 I bolused for dinner and ate. At 8:00 someone in my neighborhood was grilling something really tasty and the smells wafting in the open windows almost broke me, but I stayed strong and fended off the urge to have a snack. And at 10:00 the testing started. So, how did it go? Like most things in life, there was some good and some bad. Obviously, waking up every two hours to test my blood sugar isn’t fun. (Seriously, a HUGE shout-out to you D-Parents. 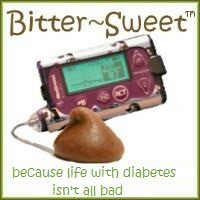 I loved you before, but after getting up all night for blood sugar checks I have an even deeper appreciation for you!) In fact, I was restless the whole night just knowing I had to get up again soon to test - so basically my entire sleep pattern was thrown off. Also, eating dinner at 5:00 is way too early for me. I was so hungry all night. I may have even wished for a good hypo so I’d have to end the basal test and have a snack. Now waking up with a fasting number of 117 would be okay by me. But the thing to consider here is that my blood sugar rose almost 50 points over the course of the night. On a normal night, when I’m not planning to wake up every two hours to check my sugar, I wouldn’t go to bed with a blood sugar under 70. I’d probably shoot to be around 100 to 120, which could give me a fasting in the 170s. It was also interesting to see that by 6:00 my blood sugar is starting to head back down again. So based on this overnight basal test and on the other blood sugar trends I’ve been seeing, I did some small basal tweaking across the board. And so far today, my numbers have been 105 (after coffee but before breakfast), 104 (after breakfast) and 93 (before lunch). Am I looking forward to running my next basal test? Nope, I can’t say that I am. But I most certainly will, because the data I collected was pretty valuable! Are you a basal testing novice like me, or a basal pro? Do you have any insights or tips to share for my next round of testing? Great job Karen! And that fact that I might have been the impetus to do it - that's an honor my friend! You did great and I love the information that it gave you! First, let me start by saying that I had no freaking idea what a basal test is before reading this post so I've learned something today! I'm also reminded of how different D with insulin is as opposed to D without insulin. Dang, it sounds so hard! While it would be nice to be able to take something to combat an occasional high I'm not sure I would do well with constant testing and adjusting meds. Phew! Your numbers today sound awesome. I'm glad that your sleep-interrupted night was worth it. Call me nerdy, but I just love reading about basals. Oh Karen, some people just don't know how lucky they are to sleep.. lol. I haven't had my pump that long, and I'm pregnant so I am very aware of the schedule like you did for basal testing. I did the every 2 hour thing for about 2 weeks or so, every night, EXHAUSTING. I still get up at least once to twice a night and occasionally i'll take another check just to see where I am. I typically do the same thing except unless i've eaten a snack before bed to get me over 130 before I go to bed, i sit at 50's and 60's all night. My basal rates are pretty low at nighttime, but wanting to keep them low during pregnancy, i'd rather eat a snack before i go to bed then wake up from a perfectly good sleep to eat. haha, not fun to this gal!!! Ironically, I jump higher at about 6am too. That is probably the highest basal rate I have of my day is my 6am. Good luck with your basals and hopefully you won't have to do this anytime again soon!!! Congrats on being a first timer! I just recently found out what basal testing is and haven't take the plunge yet. With a 6 year old type 1 something always seems to mess me up when I think "I will basal test tonight". Plus she is growing and changing so much so often that I don't know if the results would actually tell me anything other than that nights information. Tomorrow could always be different :) Thanks for sharing your experience and I guess I should go read up on basal testing since I do have that book! I probably would have started at 69 also just to see which direction I was going. I don’t know if you normally eat dinner real late, but both John Walsh & Gary Scheiner say to start 4 hours after your last bolus – you could have had dinner a little before 7 and then started at 11. I usually try to plan my last meal around the time that I want to start the test since I know it will be a long haul (I usually do my testing for a full 24 hours). One difference between John Walsh & Gary Scheiner is that John says not to go up by more than 15 points but OK to drop no more than 30. Gary says 30 points for both directions. I also wrote about basal testing last year and put a sample spreadsheet that I use. I like to plop my numbers on a spreadsheet and let the computer do the math. The thing that frustrates us so much is that the readings change so much depending on how much activity he had in the evening or how complex the carbohydrates were that we had for dinner. My husband has been diabetic since 78 and on a pump for about 13 years. Currently his Dexcom readings look like a roller coaster. Do you run these several different nights and then try to get an average? Good luck. Oh...yeah!!! Loving the BASAL testing in the DOC. Makes me feel all kinds of "same-ity same". You did fantastic Karen. Thanks for sharing it with us!!!!! Very proud of you, my friend!!!! ah, how timely! we just had our endo appt and i brought up basal testing. she said it wouldn't hurt, so i'm just looking for a good time to do it for the first time, like you! Weather Havoc . . . .
Mail Call . . . .
Running is hard, Diabetes is harder. Twice as Nice . . . .
Boost your activism & share your thoughts . . . The common thread . . . .
Who’s Afraid of the Big Bad Hacker? Adding Words to the Story . . .
Medical IDs - do you or don’t you? Conquering McDonalds . . .